The island of Hvar is a well-known party destination, as well as a celebrity destination. But this island is abundant with beautiful pebble and sand beaches that will delight its visitors. Pebble and sand beaches on the north side of the island are great for families with children, while adventure seekers will enjoy the beaches on the south side. 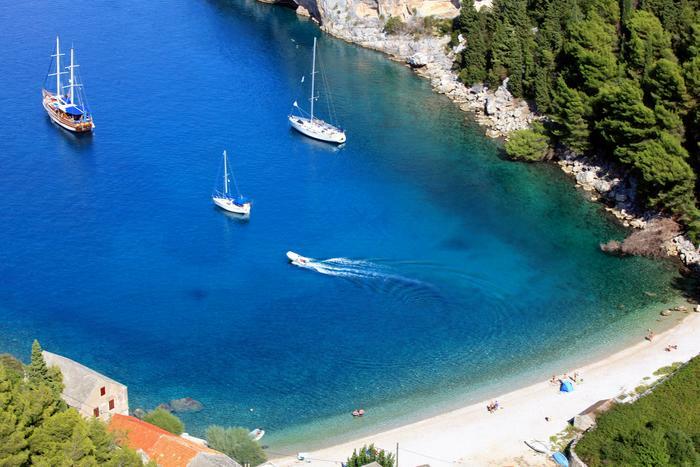 We have picked out six beaches on the island of Hvar we're sure you'll love. Even though beaches in Star Grad aren't as popular as those near the city of Hvar, there are some of them that definitely deserve the attention of local and foreign guests. One of them is Maslinica named after the bay in which it is located, two kilometers away from Stari Grad. This is the only sand beach near Stari Grad. The beach is very popular among families with children. If you come by car, you can park it on the little parking lot not far away from the beach. Due to its isolated location, there are no amenities on the beach, so make sure to bring your own food and drink. 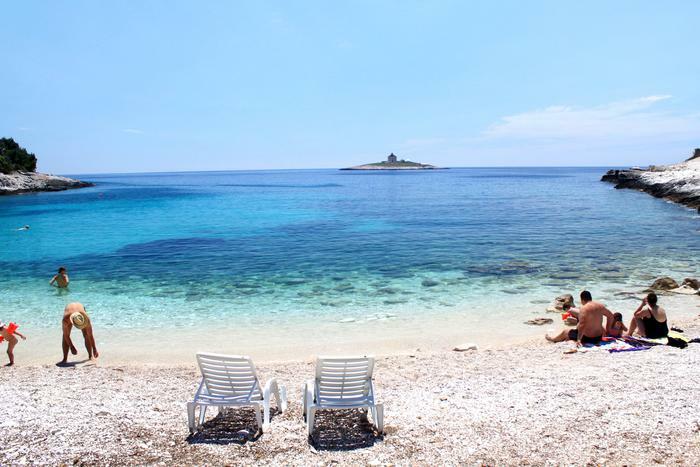 On the south side of the island, between Hvar and Stari Grad, there is a small village of Zaraće with a very small number of inhabitants – only three of them – but it has a very big sand beach. The best way to reach this beach is by car or by boat. This beach is surrounded by big rocks holding sea salt. A nearby restaurant uses the salt in their dishes. These rocks are ideal for all adventure seekers who'd like to try jumping into the sea off them. If you cannot find a beach on the island of Hvar, take a taxi boat and sail off to the Marinkovac island, part of the Paklinski Islands. There is the pebble beach Mlini. When you get to this island, just follow the signs leading you to the beach. Even though the beach can get crowded during high season, there is a whole different picture there in September or October. There is a cafe, toilet and a restaurant serving traditional Croatian food. You can also rent sunbeds and parasols. 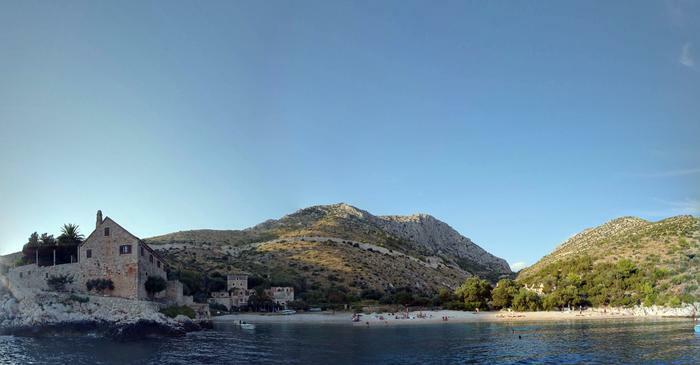 One of the most popular beaches in the city of Hvar is Pokonji dol named after the island you can see from the beach. It is located in a narrow bay you can get to on foot. This pebble beach has an ideal entrance for families with children. If you forget to bring your own parasol, you can rent one at the beach, just like sunbeds. You'll also find showers, a couple of bars and a restaurant. 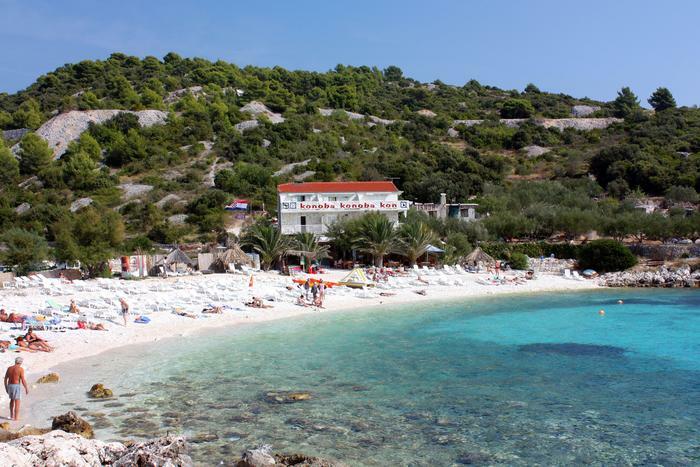 Dubovica is one of the popular beaches near Hvar. It is located in a picturesque bay which attracts local and foreign visitors for years. Unfortunately, there is no shade on the beach so don't forget to bring your own parasols and sunscreens. You'll find a restaurant serving fish and meat nearby. 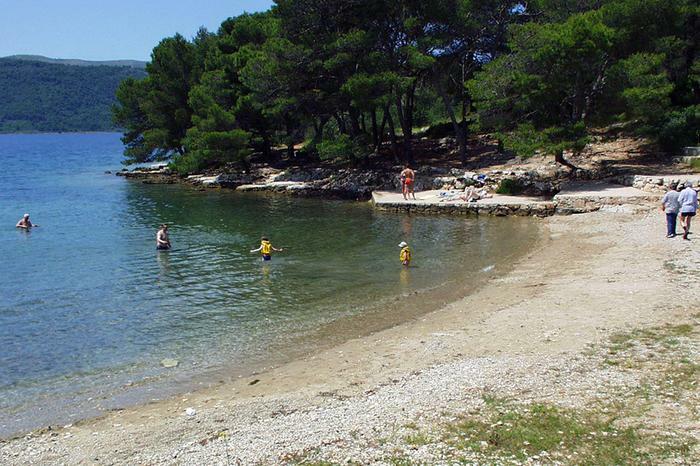 Mekićevica, a little beach surrounded by stones and pine woods, is located near Hvar. 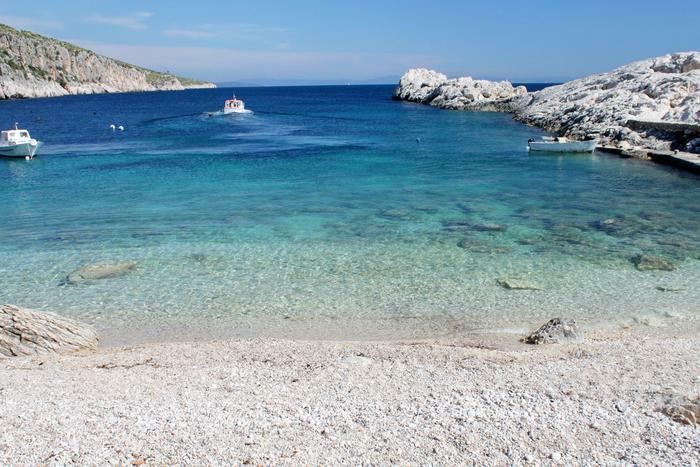 You can reach the beach by a taxi boat from Hvar or on foot from Pokonji dol. It is isolated from main paths and that's why it's popular among nature lovers and adventure seekers who love jumping off cliffs. There is only one restaurant located near the beach. Where to stay on the island of Hvar?